Use the Lint Roller on coats, jackets, blazers, almost any everyday garment. Now you don't have to be annoyed by your cuddly pet's hair dropping everywhere. Clean it with the Lint Roller. Keep your car seats spotless with the lint roller. 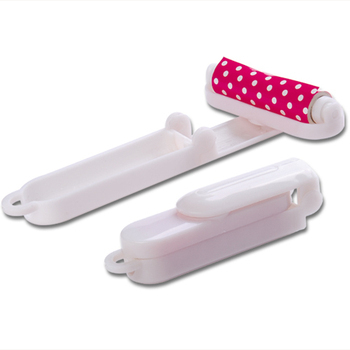 You can even use the lint roller on your sofas, couches and curtains. 1. Take out the cover wrap. 2. Roll the roller on the surface. The lint will stick to the sheet. 3. For a fresh sheet, tear off the used sheet. 4. Put back the cover wrap for future use.